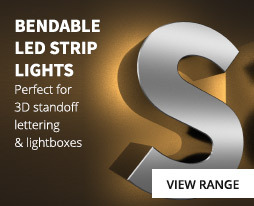 Our SideWinder tape is an innovative product that can flex sideways (left and right) at various angles and so is an ideal product for illuminating lettering and signage as the tape can be formed around the letters or shapes. 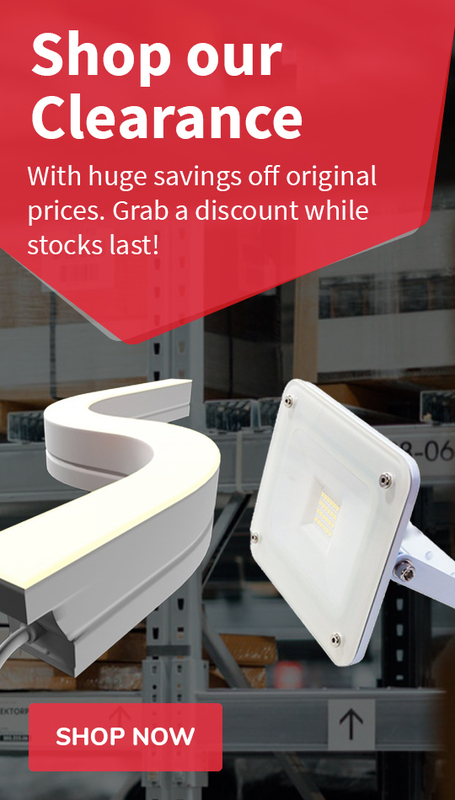 This high brightness (HB) version features 50/50 high quality LED chips which creates a bright, cool white halo of light. ProFlex 12v SideWinder HD is a super bright, flexible lighting strip featuring 42 x cool white LED's /m. The unique feature of SideWinder is that unlike standard LED tape that can only bend forward or backwards on itself, SideWinder can be bent left and right as well. This enables it to follow shapes and letters making SideWinder an ideal product for the construction of light boxes and for the illumination of signage and lettering. With its unique characteristics, SideWinder can also be used to create a halo effect around curved desks or complex logos. With its IP20 rating, SideWinder is suitable for use in dry, indoor environments only. 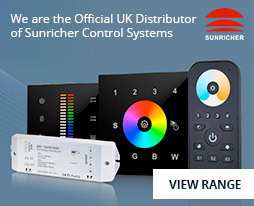 ProFlex 12v SideWinder is fully dimmable and compatible with our dimmable 12v drivers and RF hand held or wall mounted remote controllers including our range of SunRicher products. In addition, we stock a variety of DMX512 decoders so that our ProFlex products can be connected to a DMX system.